Recorded in 2015 and 2016 in Sweden, Austria and The Netherlands. 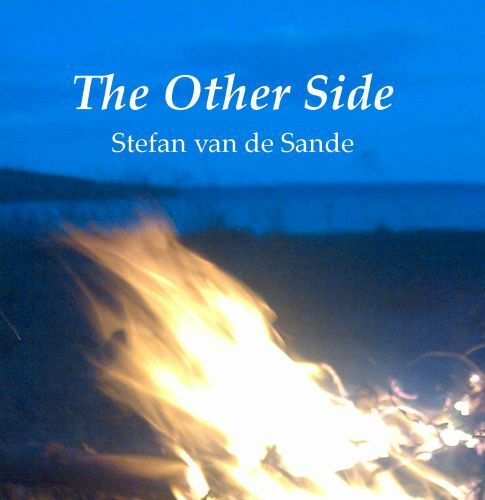 Stefan van de Sande: Music / Words / Art-work / Pictures / Vocals / Guitars / Bluesharp / Piano / Ukulele / Flute / Recordings /Mixing / Production. Jolien Damsma: Vocals on 2,3,7 & 10. Martijn Kerkhofs: E-guitar & Mastering. What a brilliant album ! A Review by Maria D'Alessandro.
" The music is soothing and healing and the voice of the talented Jolien Damsma adds a delightful dimension to some of the songs." " He’s shared his dreams, his passions, his thoughts and even his frustrations." 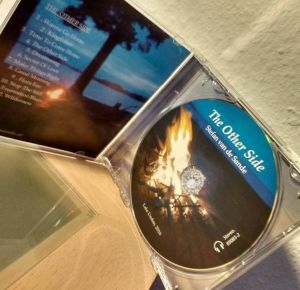 Preview of 4 tracks of "The Other Side"
If you would like to hear all the song then buy the album. There is a nice booklet in the CD with song texts and pictures. How to purchase the album you will at the bottom of the Albums Page.